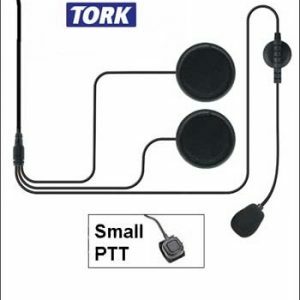 TORK Xpro helmet speakers are TORK’s premium range and are the best sounding high volume, thin bodied speakers on the market. 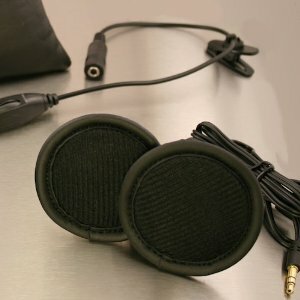 They are designed specifically for in-helmet use providing hi-fi sound quality with enhanced bass and volume. 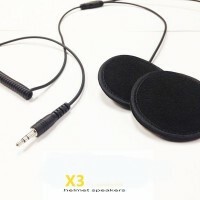 The Xpro’s are full stereo speakers which can be plugged into any personal AM/FM radio, MP3, IPOD, most smartphones and iPhones using the 3.5mm audio jack. 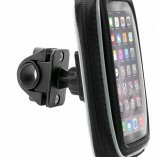 The speakers are thin and comfortable and designed to fit into all types of helmet. Just press them into your helmet’s ear pockets using the provided 3M adhesive. Take them for a ride you won’t be disappointed! 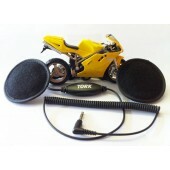 These helmet speakers include the volume control extension cord and come with a 1 year warranty. 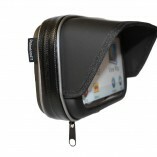 This is a great bit of kit, I cannot recommend it enough- thank you Colin and all at RiderMount.com!